Context helps to explain archaeological material. There is information about the specific location, the stratigraphic relationship with other objects, and the association with related material. It is easy for archaeologists to document the looting of archaeological sites. And the Medici Dossier, the Becchina Archive, and the Schinoussa Images have made it possible to identify objects that have entered the market. But we also need to consider the limitations of discussing such 'unexcavated' objects. Chris Chippindale and I explored some of the issues relating to Cycladic figures, and I have published a study of the intellectual consequences of acquiring the Sarpedon krater. I will be exploring further issues at a seminar in Cambridge this week. 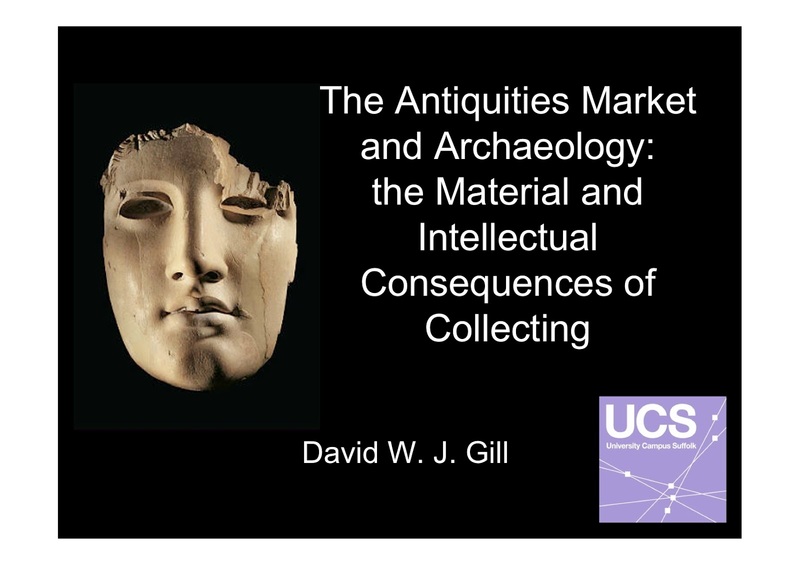 Do archaeologists, and especially those dealing with the classical world, need to see how little material comes from secure contexts?